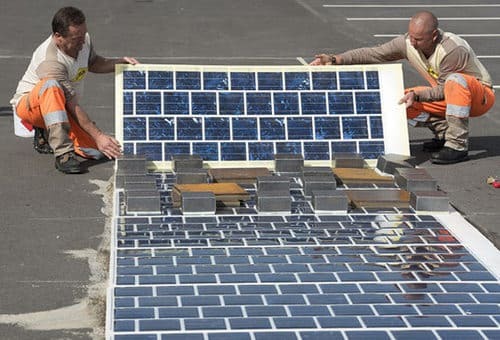 France plans to install 1,000km of solar panel roadways in the next five years, Global Construction Review reports. Very thin yet very sturdy, skid-resistant and designed to last, Wattway panels can bear all types of traffic, including trucks. They are applied directly to the existing pavement. The first pilot test sites rolled out in 2015 confirmed that the concept was a valid one; a 7-millimeter-thick photovoltaic panel. These panels can glue onto existing road surfaces to draw power from the sun, while providing enough grip for cars and trucks to drive over them. Provider says that 1km is enough to power public lighting for a city of 5,000 people, while 20 square meters can power a single French home. This idea lies within the new trend of e-roads, such as the solar-powered cycle lane, or the e-highway.